Peace is one of the most deceptive terms in public discourse. Consequently, it is not at all clear to me that people know what they are referring to when they talk about peace. 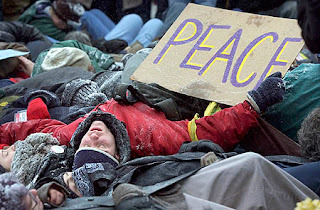 Take the current political climate: peace most commonly refers to not having been part of the invasion of Iraq in the first place, or now getting the hell out of Iraq and thus bringing an end to our part in this bloody war. When it comes to Iraq itself, the West’s dreams of peace are for an end to sectarian violence and the emergence of some kind of nascent democratic society. And yet even at this point things are not what they seem. Notice, for instance, that the recommendations coming out of the United States Institute of Peace (USIP) have increasingly stressed the importance of the creation of low-wage employment for Iraqi youths (who comprise over sixty percent of the population). The rationale is: get them spending all their time working and saving for clothes, leisure activities or a new iPod and they won’t have either the energy or the motivation to kill other Iraqis. What I find remarkable about this is not just that the grand American rhetoric of ‘bringing freedom to Iraq’ is reduced to the more banal image of adolescent Iraqis flipping falafels at some street vendor in Baghdad. It is the way that this image reflects back to Western democratic societies its fantasies of what peaceful existence looks like. Let me explain what I mean. The fundamental delusion that rationalised America’s invasion of Iraq was the belief that, once set free from the grasp of a maniacal tyrant, Iraqis would spontaneously adopt recognisably democratic forms of social life. In other words, they believed that beneath the skin we are all American, and that the longing for freedom, peace and the advantages of the free market run deep in the human soul. 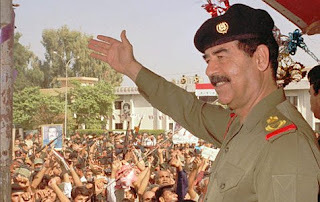 The reality of the situation, however, was that deposing Saddam Hussein opened the gates of hell. As George Packer wrote in The Assassins’ Gate, ‘Iraq without the lid of totalitarianism clamped down has become a place of roiling and contending ethnic claims’. This state of affairs should have come as no surprise, for the chaos to which the nation reverted post-Saddam was anticipated in King Faisal’s chilling description of his own people in 1933: they are, he said, ‘unimaginable masses of human beings devoid of any patriotic ideas, imbued with religious traditions and absurdities, connected by no common tie, giving ear to evil, prone to anarchy and perpetually ready to rise against any government whatsoever’. Far from releasing Iraqis from the terror of the Ba’athist régime so that some repressed longing for peace could bloom, the American invasion exposed the inherent violence and sheer bloodlust that had been held in check for four decades. My point here is not to try to exaggerate the violent nature of the Iraqi people, but rather to call into question the widespread belief that peaceableness is a quality that underlies the human condition, which is allowed to surface whenever the external determinants of tyranny or extremism are removed. Is it not rather that human beings partake in a violence so profound that it dwarfs even the most aggressive mammalian behaviour? And are humans not remarkable for their natural incapacity to organize themselves peacefully? These were the observations that troubled Thomas Hobbes, whose immense political theology stemmed from the conviction ‘that during the time men live without a common Power to keep them all in awe, they are in that condition which is called warre; and such a warre, as is of every man, against every man.’ War, for Hobbes, is not an exceptional state of mass violence that interrupts a more fundamental tranquillity. War is the human condition itself. What then of the so-called ‘peace’ enjoyed and promoted by democratic societies? Isn’t it apparent from the Pax Americana that now holds sway – whether at home or abroad – that such peace has become little more than an obsession with the trivial, a benevolent boredom, or worst of all, the inalienable right to excess? It acts, in other words, like a palliative, a form of cultural sedation aimed at distracting us from our violent predisposition, all the while satisfying our bloodlust through vicarious means (television, movies, sport, etc.). I think it is important at this point to register the extent of my disagreement with Stanley Hauerwas, someone I otherwise greatly respect, on just this question of the substance and character of peace. For all his notorious anti-American rhetoric, it seems to me that on this very point he remains an unreconstructed ‘good ol’ boy’, and his ethical program is perfectly at home within the greater Pax Americana. I have already suggested that the conception of peace as a deeper (ontological) reality than violence – a concept that is fundamental for Hauerwas, John Milbank and David Bentley Hart – is theologically problematic and ethically impotent. 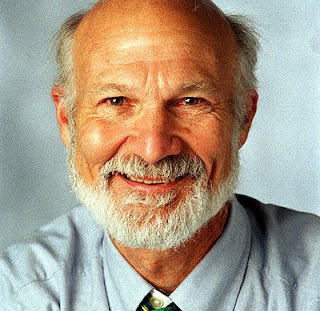 But it is the way that Hauerwas characterises a life narrated by nonviolence as one of profound boredom, marked by the willingness to enjoy the trivial (he often likens the life committed to nonviolence to watching baseball) that I find deeply problematic. 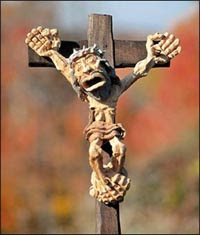 For he seems thereby to have accepted in advance the price to be paid for becoming a beneficiary of this idolatrous peace: that we abandon any kind of moral seriousness, renounce every ‘higher’ cause – such a subordination of one’s life to the state, party or cause, Hauerwas says, ‘is the character of totalitarian regimes’. Perhaps now, more than ever, it is important to be reminded of Jesus’ words, which war against this pseudo-peace – whether the bloody peace-through-submission of the Pax Romana, or the indolent peace-through-sedation of our current Pax Americana: ‘Do you think that I have come to bring peace to the earth? No, I tell you, but rather division!’ The intense conflict introduced by Jesus and radicalised in his resurrection, cuts through every organic or ethnic tie (family, nation, gender), leaving those who follow him alone and unprotected in a world determined by self-interest. The apostle Paul goes even further, locating this conflict at the level of the Dawkinsian ‘selfish genes’ themselves – his term for which is ‘flesh’. If there is any peace recognized by Christianity, it is this experience of being profoundly disconnected within a world that knows only violence. But today, the Church has traded peace for leisure, whoring after the trinkets of our pleasure economy and abandoning its calling to risk everything for the sake of Christ’s kingdom. Our Easter declaration that ‘Jesus is Lord’ is a manifesto for the only peace that really counts. Will we have ears to hear?